The United States Naval Academy GOSPEL CHOIR, led by Mr. Michael Scott, is an upbeat inspirational musical ensemble. Comprised of midshipmen from various places, races, and creeds, the Gospel Choir is reflective of the diverse interests and ethnicities within the Brigade of Midshipmen. Their common bond is musical talent and a passion to praise through song. Throughout the year, the USNA Gospel Choir maintains an active schedule and performs not only at the Naval Academy but throughout the nation at churches, schools, and community centers. The choir has taken its message of inspiration, motivation, and exhortation to Atlanta, the Martin Luther King, Jr. National Historic Site, Los Angeles, St. Louis, Chicago, Dallas, Houston, New Orleans, Detroit, San Diego, Key West, Orlando, Miami, Pensacola, and Bermuda. Recent notable appearances include the Inaugural Concert "We Are One" performed on the steps of the Lincoln Memorial for President Obama in front of a live audience of over half a million people and a concert tour representing the United States throughout South Korea. The Gospel Choir is a wonderful part of the Naval Academy family. Not only does it allow its members to express their faith in song, but it also provides the public an opportunity to witness the diversity and talents of today's Brigade of Midshipmen. The Gospel Choir continues to grow and excel, spreading the joy of Gospel Music and assisting the Naval Academy to fulfill its mission. The Gospel Choir is honored to travel to a variety of locations to introduce the public and future candidates to the opportunities available at the US Naval Academy. Comprised of nine exceptional members of the Gospel Choir, Voices of Praise is a small breakout ensemble who raise up their voices with inspiring song and adoration! MR. MICHAEL SCOTT, is an extremely accomplished musician with over 20 years of experience. He studied Music Education at the University of the District of Columbia and Music Technology at the Levine School of Music. He also had the honor of studying Choral and Gospel Music under former Naval Academy Gospel Choir Director, Dr. Joyce Garrett. Under the mentorship of Dr. Garrett, Michael has performed for every President of the United States since George H. W. Bush at events such as inaugurations, Christmas in Washington, and The Kennedy Center Honors. He is highly skilled in playing the Hammond B-3 organ, all keyboards, drums, bass guitar, and a host of other instruments. Additionally, he is advanced in music arranging, vocal instruction, and producing live and studio recordings. 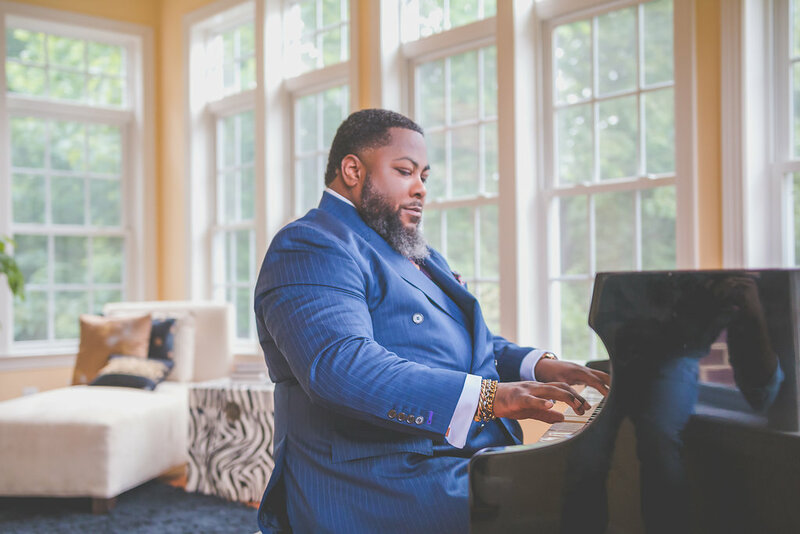 Mr. Scott’s performing career has taken him to a number of notable venues such as the John F. Kennedy Center for the Performing Arts, the historic Howard Theatre, the legendary Blues Alley, and Central Park Summer Stage in New York City. His eclectic yet polished style of music has even afforded him the opportunity to perform internationally. Michael’s talents have afforded him the opportunity to play for a number of phenomenal artists such as Israel Houghton, Pastor Donnie McClurkin, Bishop Hezekiah Walker, Bishop Marvin Sapp, Bebe Winans, Tonex and many other great artist and musicians. He is currently the Musical Director for Season 2 winner of BET Sunday Best, Y’Anna Crawley, with whom he has had the pleasure of working for over a decade. He has had the opportunity to produce and play on several recordings of national and local artists. His song “This is the Day” was chosen for the compilation album “Bishops of the Faith” with Bishop TD Jakes, Bishop Paul S Morton and Bishop Clarence McClendon. His musical directing skills have allowed him to serve as Musical Director for special events such as the 20th Anniversary of the Million Man March, the home going services of Mayor Marion Barry, and the Gospel Heritage Conference. Mr. Scott currently serves as the Director of Music and Fine Arts for the historical Union Temple Baptist Church. His soulful sound has become a staple of the Naval Academy and shines through in the midshipmen’s ability to master traditional and contemporary music while captivating their audience. He appreciates being a tool through which he may bless others with his ministry and gifts of song.